Bored of the monotonous colors, need a feel to replace the tiles, want to change the look of it. Yes, we are talking about giving a new face to your Bathroom. 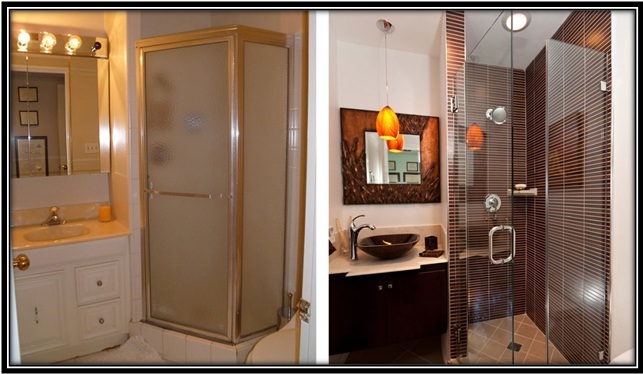 Refurbishing the bathroom can also change the complete look of your house and add a little more value to it. Remodeling your bathroom plays an integral role in improving the level of satisfaction in your home apart from the standard of living. Let me tell you, renovating the bathroom can be tedious but am sure you are going to love every bit of it ‘coz after all you are redefining your personal space. So, now you have given a thorough thought to it… You have made your mind and want to make serious efforts towards it. Okay..!! What now!!?? There must be a gazillion questions going in your mind… Like… How to get started?? What to choose and what not to? Should you hire a professional help? And the list can go on and on. Seems too daunting a task..!! NO my friend..!! This is just preparing you to the fun time that lies ahead. All you need to do is plan, plan, plan and PLAN some more. Take a deep breath and on a piece of paper jot down what your requirements are and you can do all of it without a professional help too (hiring a professional help should precisely be your last option). 1. Understanding – Understand what your requirements are. Talk to a few friends who recently got their bathrooms remodeled. Browse through a few blogs online or website for a better help. Comprehend all of it and there you go… you just crossed the level 1. 2. Surfing – This part is really very important and also will make your decision making a lot easier. We are blessed to experience the tech-savvy age. We are almost dependant on it. Then why not make a better use of it this time for renovating your bathroom. Look for reference pictures on Pinterest – they have some good pictures, go through a few home décor, especially bathroom décor websites. Shortlist pictures that serves your purpose. So now you have all the data and you enter level 3. 3. What’s Your Budget – This is the backbone to a strong planning. Having known your requirements and making sure the data you gathered fits well within your budget. Once the budget guideline is clear, you can go ahead with Level 4. 4. Making A Deadline – Now you have a thorough understanding of what you want, you have your data; next step is to make a mental deadline. You can keep it slow.. Work on it every weekend or as and when you get time. Or you want to speed it up, if you wish to finish it off well before a specific occasion, then you give good 4 – 5 weeks to the activity. It all depends on your deadline, have that made and work on the renovation accordingly. 5. Take care of small things – See the tile texture or color you want, or the lights or even the frames or mirror, or are there anything you need to order online that isn’t available in the store near you. 6. Relax – Everything’s going to be okay. You are definitely going to admire your efforts in the end.